James Patterson is one of best-selling authors of all time, and there are several good reasons for that – his characters are very believable, his writing style is fluid and easy-to-read, and the action moves along at an amazing pace. Doctor Alex Cross is again the leading figure in Target, in which a series of political assassinations leaves the USA in a state of turmoil and uncertainty as to the future of the country, and indeed, the world. The machinations of the very believable plot lead the powers-that-be in the US to suspect that other world powers are behind the co-ordinated assassinations and sends them on a path to the brink of World War III. Alex Cross and a team of intelligence experts are called in to get to the bottom of the conspiracy and establish exactly who is behind the attempt to collapse the US government – the biggest challenge yet in his career. Every Alex Cross fan should pick up the latest in the series, but be warned – you’ll find it very hard to put down! Another warning – make sure you have your wits about you when reading. Any lapse of concentration will result in your having to go back a few pages to re-read a chapter or two. There are several highly-trained and skilled assassins to keep track of, plus numerous political figures, as well as the investigators. In the middle of all this mayhem, there is also the narrative of Alex Cross’s family members and a special case that he is working on, which delves deep into the dark side of someone’s life. Patterson has a wonderful talent for writing very brief chapters, which allows him to keep the narrative going from several angles and viewpoints, ideal for this book as there is so much happening from so many angles simultaneously. 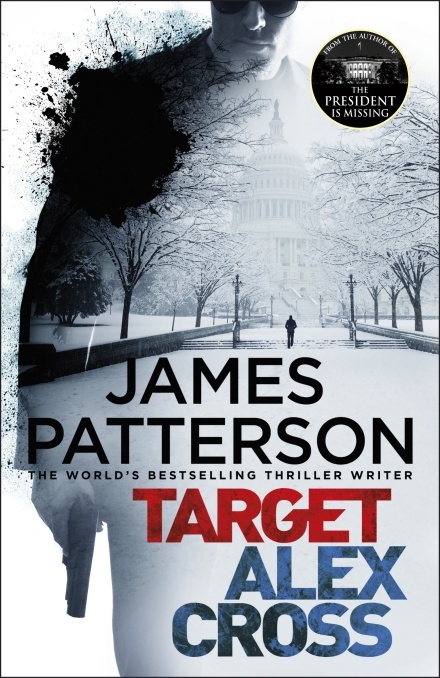 Target is highly-recommended for those who are Alex Cross fans, or those who love a good thriller. Even if you have never picked up an Alex Cross book before, Target stands alone, and no background knowledge concerning the good doctor, his family, career or past adventures is needed. Enjoy it!